Bluebonnets are both perennial and annual flowers. They are part of the Lupinus species, which originates in North America. It is Texas' state flower. The name "bluebonnet" is derived from their petals and their visual similarities to pioneer women and their sun-shielding bonnets. Bluebonnets are almost always blue, however, there have been white albino bluebonnets in the wild (as well as some other rarer colors). It is cultivated in Texas, Colorado, California, New Mexico, Arizona and Utah. 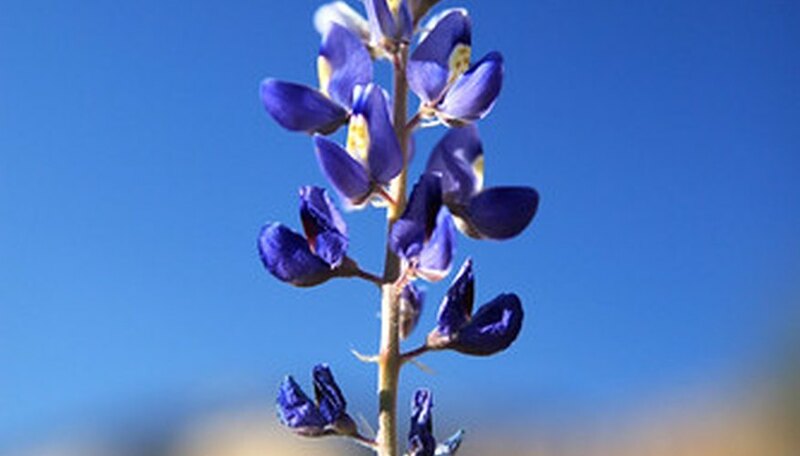 The scientific name for the Bluebonnet is Lupinus texensis. The Mexicans refer to the bluebonnet as "El Conejo," which is Spanish for "The Rabbit." Other names for the bluebonnet include the wolf flower and the buffalo clover. Bluebonnets are not planted during the spring, unlike the majority of flower seeds. It is beneficial to plant bluebonnets in the late summer (preferably August) to receive spring blooms the next year. The best way to start growing bluebonnets is by harvesting them from a field. They prefer soil that is well-drained and full sun. The optimal lawn for growing bluebonnets is one that is well-drained and sunny. A non-clay lawn is also preferable. The type of grass is also crucial, and zoysia and bermuda grass are both best for bluebonnets. St. Augustine is not preferred. There are several types of bluebonnets. The typical bluebonnet is a bright blue color and has a white spike tip. White bluebonnets also exist, as do extremely rare pink ones, which have only been found south of central San Antonio. Bluebonnets are often used in meadows, on roadsides and hillsides, for hanging baskets, in mixtures, in half wooden barrels and on raised flower beds. They are very often found in uncultivated pastures all throughout Texas. Can I Grow Lupines in Georgia?